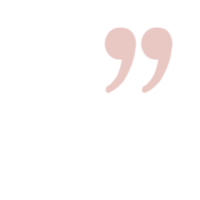 "By cutting out all the crap leading you nowhere, you will succeed! I've done it, and now I am sharing my proven 6-Step System so you can do it too." 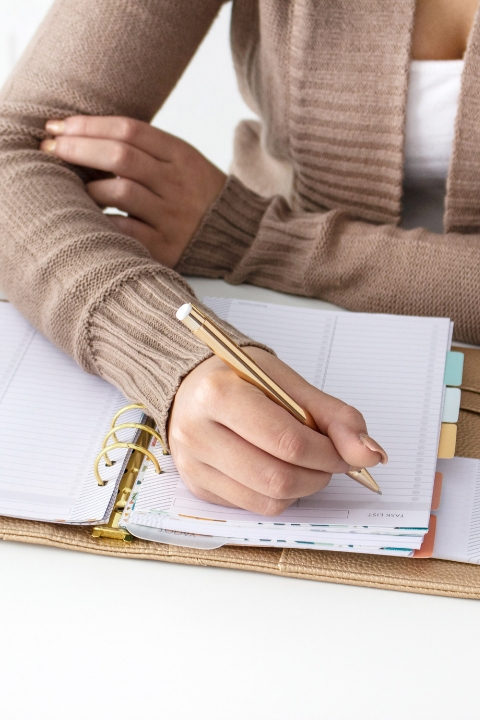 Blogging Overwhelm Got You Down? This six-step system lays out the framework to help you organize your time, set meaningful goals, and focus on what really matters. I'll walk you through creating an individual written plan to determine what matters to you the most and to get it done!! a saving of $5 off the regular price. You have an amazing message to share with the world and you've worked so hard to get your blog up and running, but there are a few problems…. You have tried everything you can think of to succeed with your blog. You are spending an excessive amount of time for a small amount of results. You share your blog posts in Facebook groups every day. 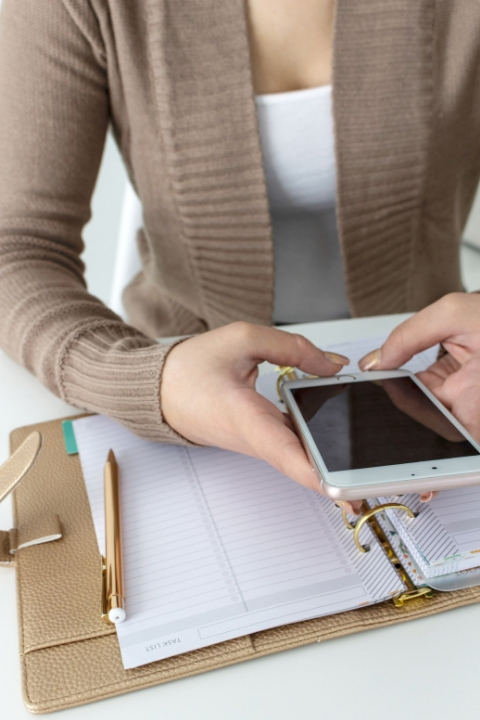 You schedule posts on social media regularly. You have signed up for and taken numerous courses. You are doing everything you can possibly do. Yet still, you are unsure if any of these things are what you should be doing or if they are even helping you reach your goals. You're ready to make big things happen with your blog but no matter how much you do, nothing changes. Your direction and path are muddled and you are ready to give up. If this sounds like you, I have good news. A shorter 'to do' list. A schedule to manage my time that gives me more free time. A sense of peace and contentment with where my blog is at and where it is going. A life that makes me feel fulfilled and happy and is not overwhelming. A plan to increase my income allowing me to work from home. But the good news doesn’t stop there! 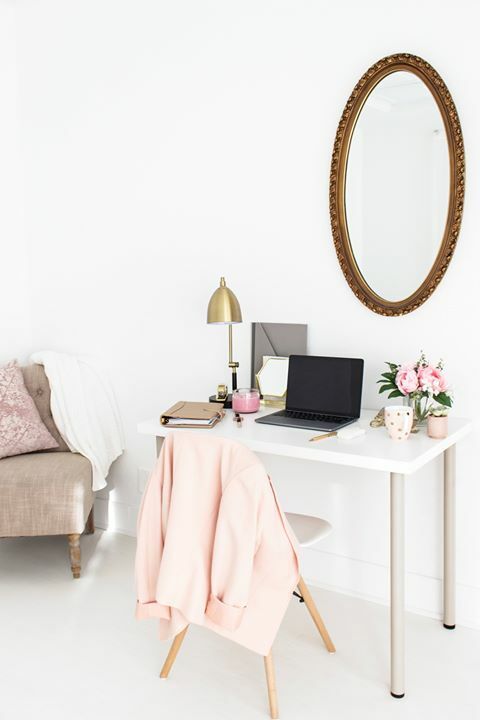 Not only do I get to live my dream but it is my joy to inspire women like you to follow their heart, simplify their blogging journey, and focus unrelentingly on what helps them succeed. 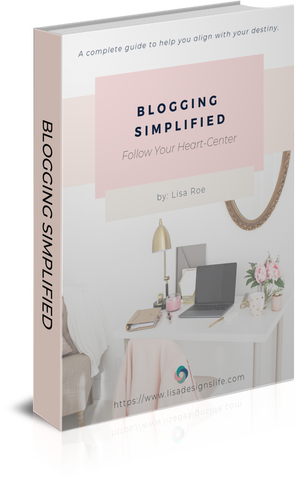 Blogging Simplified is a proven six-step system to help you discover your heart purpose, set goals and break them down so you find more time to do what you love so you can love what you do. 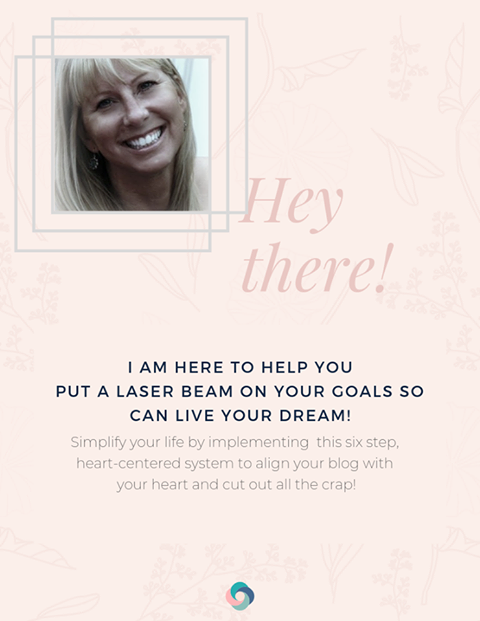 This method has been tested and proven effective to help put a laser beam on goals that directly correlate with your heart to simplify your blogging journey. By cutting out all the crap leading you nowhere, you will succeed! Find your heart-centered mission and goal. Blog with Intention and determine the outcome. Focus on the now and create a plan to reduce overwhelm. Define quarterly objectives to smell success. Set monthly targets to remain accountable and stay on track. Plan a week you love that is unique to you. Twelve worksheets and checklists along with 2 beautiful printable quotes, so you have visual reminders of your dreams. A free trial of Tailwind. So you can automate your pinning for a month and spend more time reflecting on and discovering your purpose. A free tool for social media scheduling. A tool to recycle your best updates, spend less time on social media so you can focus on your heart-centered plan. With this ebook and the additional resources; you can trust the process, trust yourself, be transformed and reconnect with your inner desires, while boosting your blog! Will this guide be helpful for me if I am just starting my blog or thinking about starting one? Yes, this ebook is perfect for you. 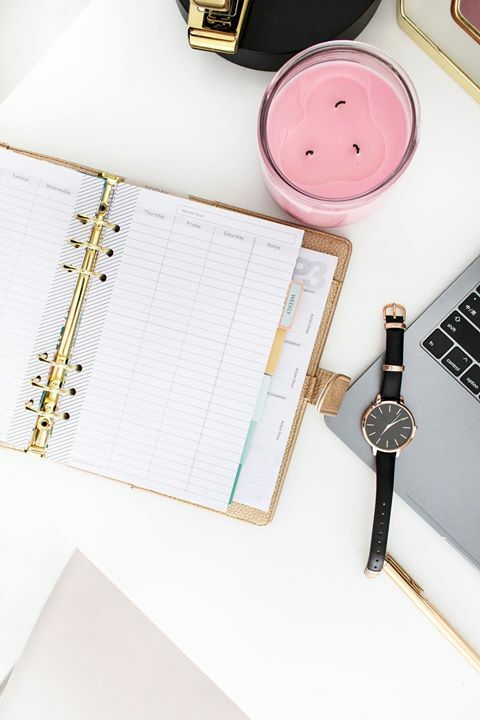 The best way to succeed is to take the time to work out a plan before you start or at the beginning of your blogging journey so you can avoid all the overwhelm in the first place! How much time will it take me to work thru this guide? That depends on you, but I recommend committing seven days to go thru the process slowly. Give yourself about 15 to 30 minutes a day to read, contemplate, pray and fill in your worksheet(s) before moving onto the next step. Do I need to pay for additional resources for this system to work? No, absolutely not. I do not try to sell you anything else in this ebook! Because this ebook is instantly downloadable upon payment, we do not issue refunds. What if I am not techy-will this be confusing? Not at all, this is not a ‘how-to’ technical advice book about perfect SEO or how to add a widget to your site. This is not a how to start a blog guide; the intention of this book is to give you the tools to discover why you are called to blog, set a plan with meaningful goals, and open yourself up to a world of infinite possibilities with the creator of the universe! I help heart-centered women like you create space in your soul and home for a happier, mindful and more balanced life. I am here to help you clarify your goals, set a faith based intention for your blog and create a plan to succeed! If you are willing to follow your heart and believe in a higher power to guide you, I have 100% confidence that my system will work for you! I started blogging late last year. It's easy to get overwhelmed during the initial set up of blogging and social media. I connected to Lisa's page because of its welcoming and organized approach. I've learned to get messages to my targeted audience with a minimal and precise approach. Lisa is such a genuine and caring person! I am so happy to have met her along my blogging journey; she is always willing to help, and shows a true concern for others! She encourages me to find the things that work for me and to take time to spend with loved ones! Blogging Simplified is supplied as a digital download so you can access it immediately without having to wait for it to arrive in the mail. As soon as you place your order, you'll receive your receipt and a link to download the book directly in your email. Buy now to take advantage of the Special Introductory Price of just $17, a saving of $5 off the regular price.